Fall Armyworm (FAW) (Spodoptera frugiperda): FAW continued being a problem to maize and other cereal crops in eastern and central Africa during July. FAW was also reported in Mali during early July. The pest was, for the first time, reported in Chikkaballapur, Karnataka districts in southern India in July. African Armyworm (AAW) (Spodoptera exempta): AAW outbreaks were not reported in July, but it is likely that the pest is present in areas where ecological conditions are favourable in the Horn region. Southern Armyworm (SAW) (Spodoptera eridania): SAW is a pest native to the Americas and common in southern USA to Argentina poses a threat to agriculture elsewhere. 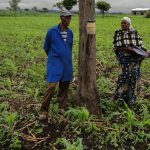 So far, the pest has not been detected in Africa on an outbreak scale, but if and when detected, this ravenous pest could become a heavy burden to small-holder farmers who are already struggling to fend of other major pests are compromising their food security and economic well-being. FAW continued being a problem to rainfed and irrigated maize and other cereal crops in several regions of Africa. In eastern Africa, the pest was reported attacking crops in Kenya, Uganda, Tanzania, South Sudan and Ethiopia during July. It is likely that the pest is present in Burundi, DRC and Rwanda where updates were not available at the time this Bulletin was compiled. In Tanzania, FAW was reported in the northern region where maize crops are attacked and control is being effected by the affected farmers with technical and material assistance from the MinAgri. Awareness raising by PHS continued (IRLCO-CSA, PHS/Tanzania). 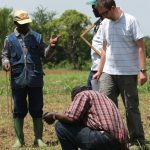 In Ethiopia, the pest was reported in hundreds of districts in seven administrative regions where hundreds of thousands of ha of maize crops have been reported affected (PPD/Ethiopia). In Somalia, the pest was reported attacking sorghum and maize crops, but further details were not available at the time this bulleting was compiled (PPD/Somalia). In Madagascar, FAW which was first reported in March 2018, reached 14 regions by May and reported in 22 regions by June/July. A crude data from an assessment conducted by DPV estimates maize infestations at more than 53% with a yield loss of higher than 47% (a margin of error for both parameters exceeds 29%). DPV continued surveillance and monitoring and likely generate more info (DPV/Madagascar). In Mali FAW was detected in maize fields in July due to early summer rainfall. India: For the first time, FAW was detected in Chikkaballapur district in Karnataka State in southern part of India during surveys conducted from 9-12 July, 2018 by India Council of Agricultural Research’s National Bureau of Agricultural Insect Resources (ICAR-NBAIR) team. According to ICAR-NBAIR, in areas where the pest was detected on maize crops, the pest incidence was estimated at more than 70%. Molecular identification of the FAW populations that were collected from Hassan, Belur and Shimoga regions of Karnataka exhibited 100% similarity with populations from Canada (GenBank: GU095403.1) and Costa Rica (GenBank JQ547900.1): http://www.nbair.res.in/recent_events/Pest%20Alert%2030th%20July%202018-new1.pdf Further studies are underway on FAW in India (ICAR NBAIR). AAW season had ended in the southern and central outbreak regions. The pest may have been present in a few pockets in Ethiopia and perhaps South Sudan during July, but does not pose major threats. No reports were received from Sahel West Africa at the time this report bulletin was compiled. A pest native to the Americas widely present from the southern parts of the US down to Argentina, the SAW is probably the most polyphagous of all armyworm species that belong to the Genus Spodoptera. SAW is known to feed on more than 200 species of plants in 58 families, mostly broadleaf, including, but not limited to cabbage, carrot, cassava, collard, cotton, cowpea, eggplant, okra, pepper, potato, soybean, sweet potato, tomato, and watermelon (UF) (comparison: FAW has a host range of 80-100 plant species). SAW is also known to feed on avocado, citrus, peanuts, sunflower, tobacco and varies flowers http://entnemdept.ufl.edu/creatures/veg/leaf/southern_armyworm.htm. SAW can produce multiple generations per year and completes its life cycle in 30-40 days. It is prolific and can produce 1,500-3,000 eggs under favourable temperature and host plant over its lifetime. So far, SAW has not been detected in Africa on an outbreak scale, however, it is suspected to have been present in some parts of the continent. With more than 200 plant species on its menu, the presence of SAW on the African continent is certainly an additional serious threat to small-holder farmers who are already struggling to fend of other pests of major economic importance. Control operations for SAW include natural enemies – parasitoids, predators, and pathogens; synthetic and biological pesticides, as well as botanical agents and other technologies. 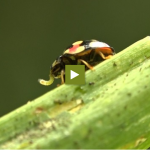 Given that the larvae of this pest are mostly external feeders, although they bore into fruits such as tomatoes, direct safer, effective and affordable pesticide application can be more effective on this pest than others that feed from inside plant parts. FAW will continue being a threat to irrigated and rain-fed maize and other crops across several regions in Africa during the forecast period. This is becoming more evident in countries with bimodal rainfall patterns and where uninterrupted irrigation systems allow continued presence of favourable ecological conditions for the pest to survive, breed and cause damage to crops. The seasonal rainfall that started in the Sahel earlier than usual will likely create favourable conditions for the pest to further breed and attack crops. Early detection by PPD/DPV and community forecasters remains critical. AAW may appear in northern Ethiopia, Eritrea and a few countries in Sahel West Africa during the forecast period, but no major developments are expected here or in other outbreak regions during the forecast period. If and when required, trap operators are advised to actively monitor their traps. Trap monitoring and crop scouting are encouraged for early detection and reporting on the presence of eggs, larvae and damage and help facilitate rapid interventions. Vigilance and timely appropriate preventive interventions remain critical to avoid major crop damage (OFDA/AELGA).